Northampton High School is an independent day school for girls aged from 3 – 18 years. The school is part of the Girls’ Day School Trust (GDST) and has an excellent academic record, and provides outstanding facilities for art, drama, music, science and technology, as well as a wide range of indoor and outdoor sports. 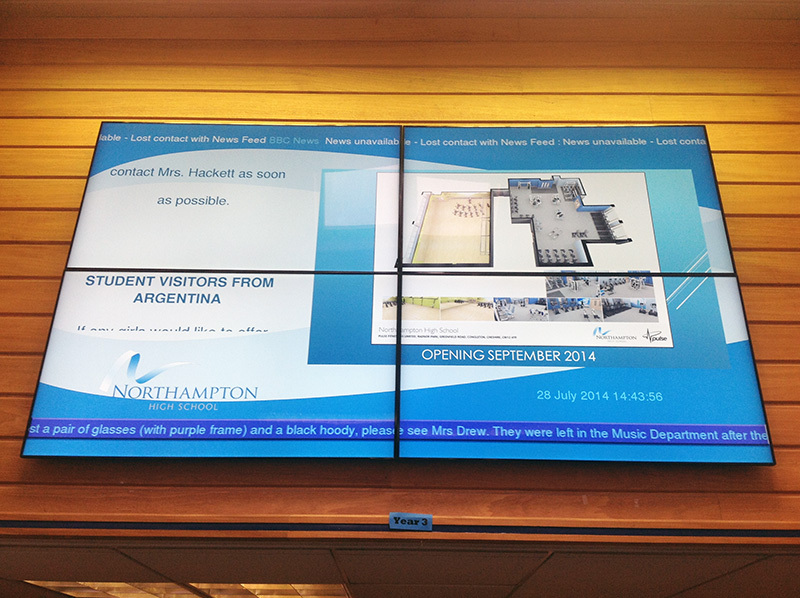 Northampton High School wanted to implement a digital signage solution to further engage with the students and provide a more efficient way to deliver messages. The core requirement of their new internal communication system was that it could be networked and sit within their internal network infrastructure. 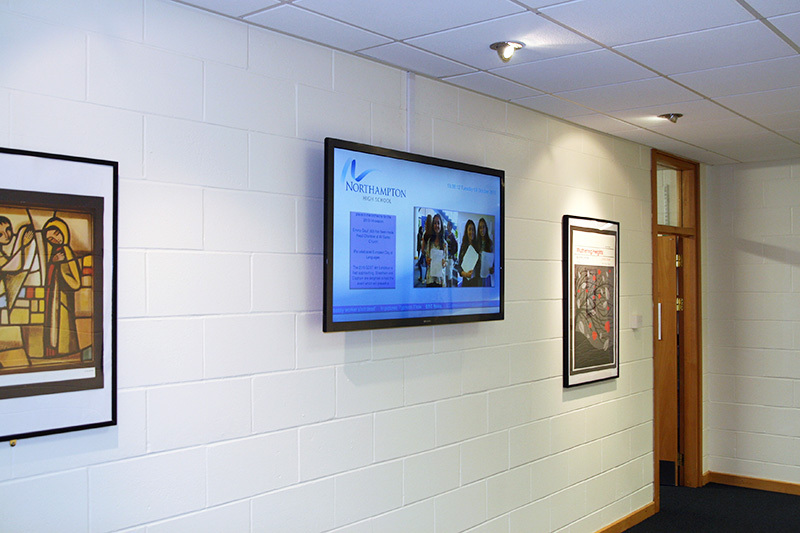 Northampton High School wanted to place screens in key locations around the hallways of the school for main focal points and also implement a large display within the Junior School to provide a big impact for the parents on arrival. Eclipse Digital delivered a secure, reliable and networked digital signage solution using ONELAN Digital Signage hardware. A Publisher was installed in the main IT data room and individual subscribers were placed behind each of the commercial displays installed in the hallways. Each one of the subscriber and screens can be updated individually or simultaneously. 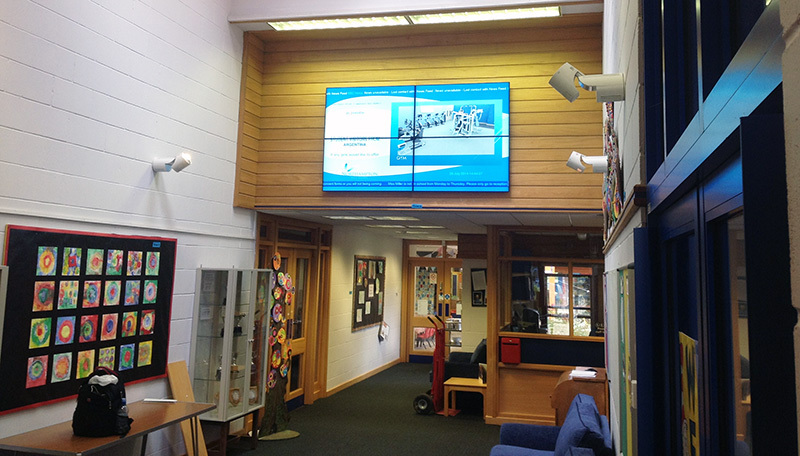 For the desired maximum impact in the Junior School, we supplied and installed a 4 screen video wall consisting of Samsung 46″ video wall displays driven by a ONELAN subscriber all updated from the central Publisher. 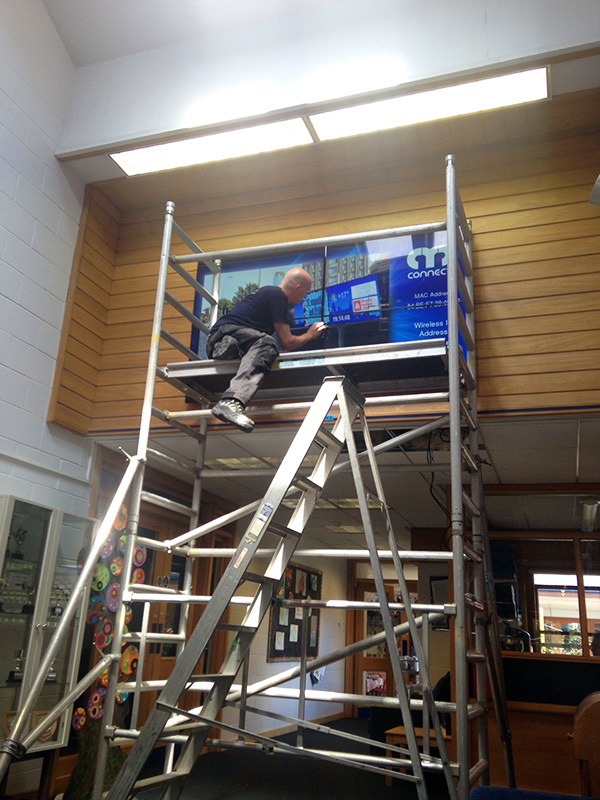 “Eclipse Digital have been integral to the roll out of our school wide digital signage. Their approach, right from project meetings and site visits to installation and support has been outstanding. We a very pleased to be working with Eclipse Digital and to a have single provider for our entire digital signage requirements.